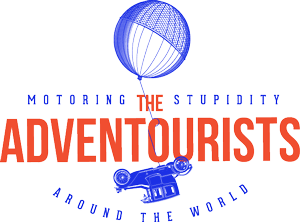 11th March – As we push further we aim for the fuel drop about 150 km ahead. Everybody is pretty fixated on making that distance today but many issues keep us getting stuck in places. 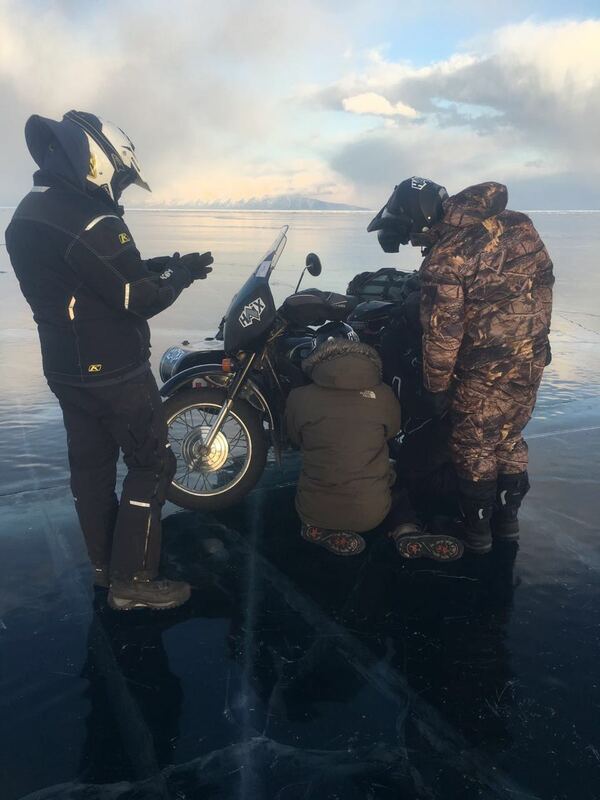 As many people we all thought that this icy adventure will be all about riding on clean sheet of ice like an ice rink. To our great surprise, the lake is far from being an even surface. 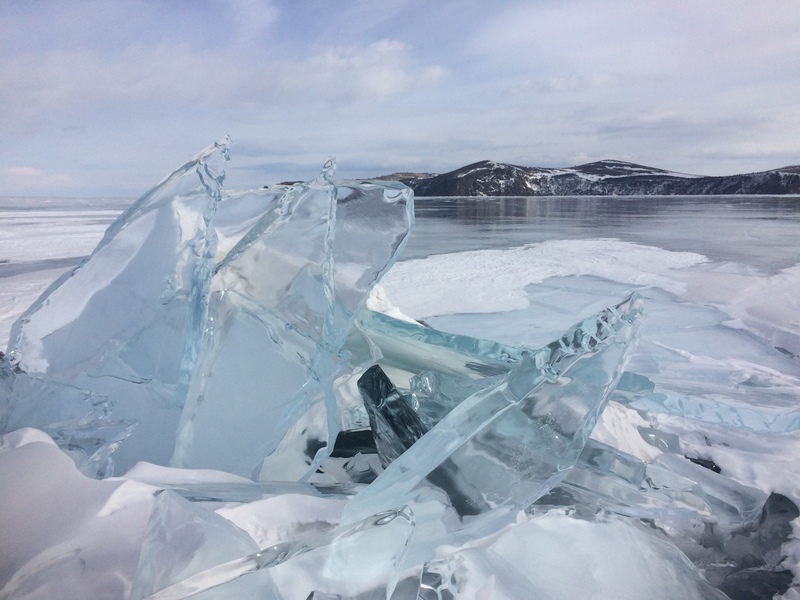 Many ice sheets acting like tectonic plates, move and crumble on top of each other. Thus making in some places open water cracks and others giant ride ups and cracks to jump over. One bike as electrical issues, another has issue starting and we only progress slowly. The Israeli team is pushing forward heavy until they attempt to jump a large crack. Unfortunately for them the jump was unsuccessful and smashed their sidecar attempting to do so. Their entire side wagon wheel is broken, axis is bent and needs attention. Dimitry arrives in his truck to help fix it as some try to make good on the most time we spent fixing other issues. 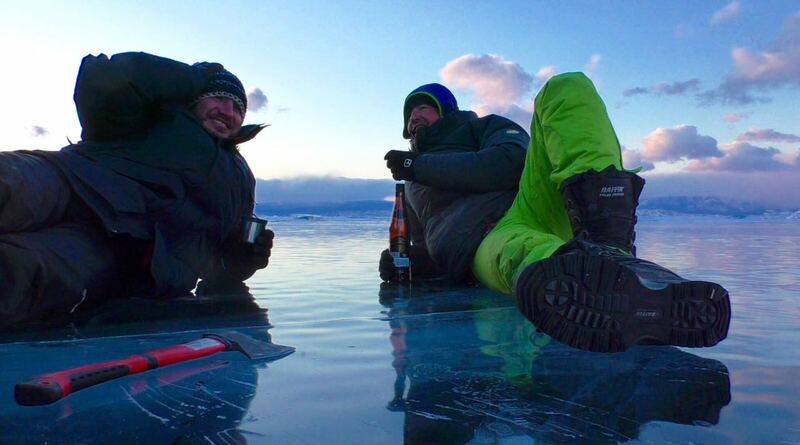 But we don’t get much further than there before the sunset and we have to spend the night on ice literally in the middle of the lake of the deepest point. It is windy as hell as we try to set up a camp. The morning is tough with temperature recorded at -32ºC. We struggle to get fire going and leave camp on empty cold stomach. 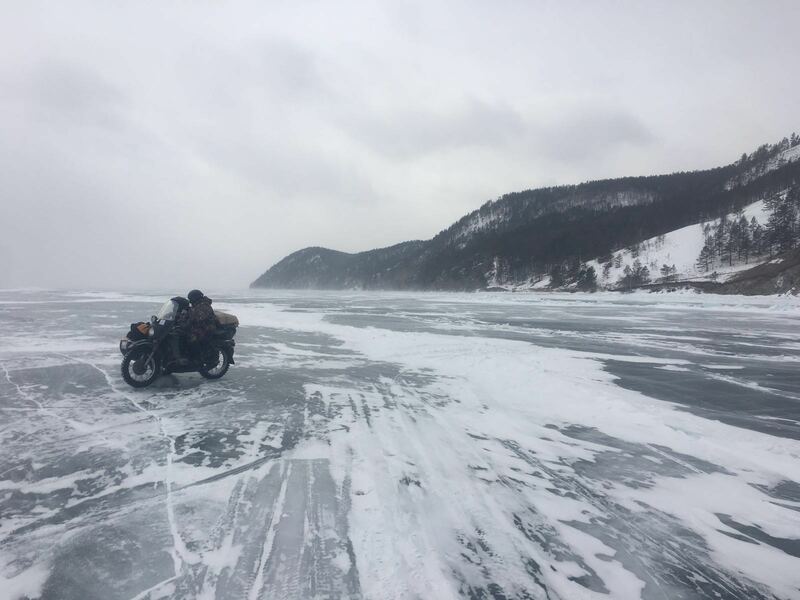 Riding helps us keep warm and we soon pass the rough ice and we are now riding at high speed on a clean slate of ice. 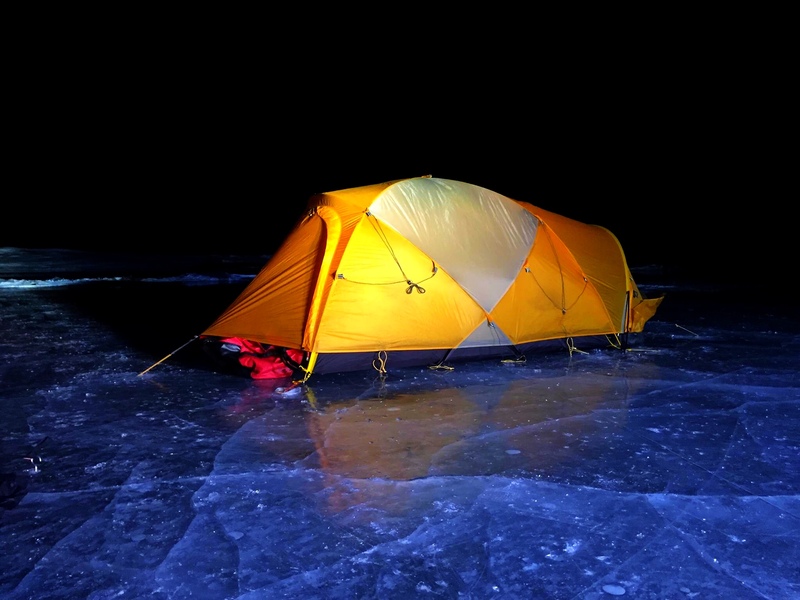 The scenery is amazing, deep blue ice under our feet, cold, pure air running on our face. On each side of the lake tall snow capped mountains surrounds us. the scene is outwordly as we push 80 kms/h on an uncontrollable machine. We reach the island, refuel and head for the maze of cracks ahead of us. The second half of the day is a lot rougher than the 1st part but we enjoy the scenery and breath in to the full adventure we are in.